We all have sense of the Kansas prairie: Beauty. Simplicity. Fields of corn and wheat, endless and undulating. But below ground, within even the smallest amounts of soil, there is an incredible diversity of life. Just a teaspoonful of Kansas soil contains tens of thousands of microbial species. Untangling their genetic identities is a daunting challenge. A new paper, published recently in mSystems, shows how researchers at the Pacific Northwest National Laboratory (PNNL) untangled a mass of soil microbes more fully than scientists have ever done before. The work was funded by PNNL's Microbiomes in Transition (MinT) Initiative, which is headed by Janet K. Jansson, the paper's corresponding author. She is president of the International Society of Microbial Ecology and recently helped the White House create the National Microbiome Initiative. Results: In one of the most in-depth looks to date at a soil metagenome - all the genetic material recovered from a sample of soil - the team reconstructed portions of the genomes of 129 species of microbes. That's only a tiny proportion of the estimated 100,000 species in the sample, but it's a leap forward for scientists. To date, they have had only a fraction of that success. The results include the first reconstruction of the complete genome of a single microbe ever from a complex soil sample. Other groups have reconstructed full genomes of microbes out of less complex environments, including mine waste, microbial mats, and the human microbiome. Why It Matters: Microbes in soil determine in large part how the planet stores carbon, when and how carbon is released into the environment, how plants take up nutrients, and how crops fare. Many people are familiar with the human microbiome, the community of microbes that live on us, with us, and within us. The soil microbiome is lesser known but crucial for the fate of our planet. Knowing more about it helps scientists understand climate change and the forces that shape the health of our planet. Scientists have made strides sorting out which species are present in complex soil samples. But how those species interact remains a hugely daunting problem. "We're trying to sort out the broad questions. What are the various microbes in the microbial community doing? Which species are very active and which seem dormant? How do they all fit together?" said Jansson, a 30-year microbiologist. "Today we're able to compile immense data about microbial communities very quickly, but it's very difficult to put the information together to create a coherent picture." Jansson turned to post-doctoral associate Richard Allen White III to take on the challenge of disentangling the genomes. He is the paper's first author. 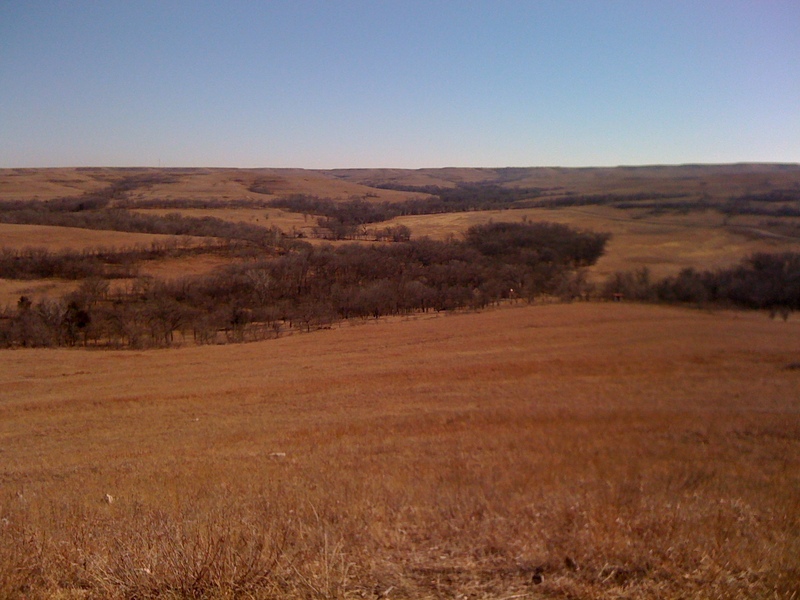 The team started with data culled from a sample of uncultivated, native Kansas prairie collected at the Konza Prairie Biological Station in northeastern Kansas. Previously, scientists had compiled the genetic data through the Great Prairie Soil Metagenome Grand Challenge Initiative at the Joint Genome Institute, a Department of Energy user facility. The sample under scrutiny included more than 250 billion base pairs of genetic data, mostly of microbes. Jansson's team went on to unravel an amount of data equivalent to all that streams through 200 cell phones in a month. The genetic material didn't come neatly packaged. It had been torn, split, twisted, and crushed. "Imagine taking a thick book written in hundreds of different languages, chopping the book up into pieces the size of grains of rice, and then having to put it back together again," said White. "That's not unlike the challenge we face when we try to understand what's going on in even a handful of soil." Jansson considers untangling the microbes in soil especially challenging because there is such huge diversity. An estimated 50 to 100 times as many microbial species inhabit a typical soil sample than the human gut. Methods: Scientists use multiple techniques to knit together strings of DNA accurately. The techniques are generally a combination of sophisticated chemistry methods and software algorithms designed to make sense of genetic material. A key to the team's success was the use of powerful supercomputers at PNNL and at EMSL, the Environmental Molecular Sciences Laboratory. EMSL is a DOE Office of Science User Facility on the PNNL campus. White used a sequencing technology originally developed in the laboratory of his former adviser, Stephen Quake of Stanford. Scientists use the genome analysis tool to break DNA down into smaller pieces, sequence them, and then and assemble them into longer pieces. When the team combined this technology with other methods, they ended up with 10,000 pieces of DNA, each longer than 10 kilobase pairs: that is, longer than 10,000 pairs of the biological compounds that make up DNA. Other attempts at cracking a soil metagenome have yielded much lower numbers, just 9 pieces of DNA of that length, for instance. That's less than one-thousandth of what the PNNL team achieved. "Soil is one of the most complex and diverse ecosystems on the planet," said White. "It's a complex three-dimensional substrate. There's nothing else quite like it." He put the new study in perspective. "We've put together a few long sentences of a very large book," said White. "We've gone from having a few words or parts of words to having a few sentences." The soil metagenome remains an immense challenge. "We've got a long ways to go," he said. "We are in our baby steps of identifying who's in there and what they're doing." What's Next? Next steps include gaining a mechanistic understanding of microbial functions, including their ability to cycle carbon, nitrogen, and other nutrients in soil and to determine how perturbations, such as climate change, impact those functions. Research Team: Richard Allen White III, Eric M. Bottos, Taniya Roy Chowdhury, Jeremy D. Zucker, Colin J. Brislawn, Carrie D. Nicora, Sarah J. Fansler, Kurt R. Glaesemann, Kevin Glass, and Janet K. Jansson of PNNL. Reference: White III RA, EM Bottos, TR Chowdhury, JD Zucker, CJ Brislawn, CD Nicora, SJ Fansler, KR Glaesemann, K Glass, JK Jansson, "Molecule Long-Read Sequencing Facilitates Assembly and Genomic Binning from Complex Soil Metagenomes." mSystems, June 28, 2016. mSystems 1 (3), e00045-16. DOI: 10.1128/mSystems.00045-16.